Putin appears to be as popular as ever. After reaching a multi-year of 63% approval in December 2011, he is now back at his typical 69% (Levada). 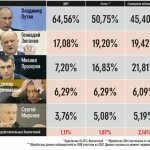 Another poll indicates that 52% of its respondents would vote for Putin if elections were held tomorrow, compared with 9% for Zyuganov, 7% for Zhirinovsky, and 6% for Prokhorov (FOM). 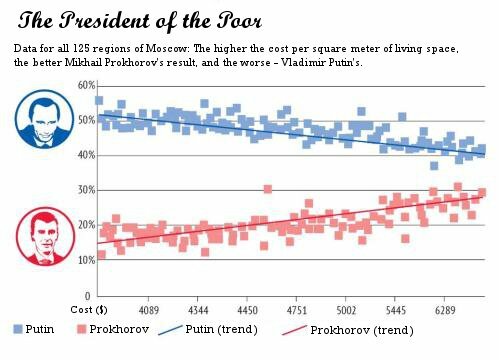 Likewise United Russia remains by far the most popular party, at 44% versus the second place Communists with 12%, despite the propaganda against it and well-publicized recent electoral losses in a few cities. So obviously there is no “mass movement” against Putin.